St. Louis Cardinals Encourage Their Fans to Use Social Media to campaign for the Cardinals in the Post Season. 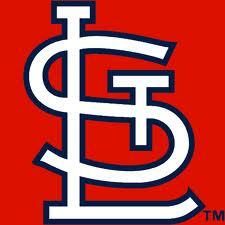 The St. Louis cardinals have launched a Twitter campaign for the 2013 Baseball MLB post season called #postcards. During the post season fans can share their good luck wishes to the Cardinals by sending a virtual Postcard to the team at cardinals.com/postcards. Fans can download a postcard template online, personalize the message and share on social media using #Postcards. #postcards has really been a major hit during the last couple of games for the redbirds. There were nearly 17,500 tweets from the fans . Fan feedback has been very positive, during each game numerous fans retweet posts. Two hashtags that have seen an abundant amount of growth is #wachawachawacha and #redcoctober. This hashtag is formed around starting pitcher Micheal Wacha. He has been a dynamic player for the Cardinals throughout the post season . Fans are actively cheering on Wacha through Tweets and other posts. #redoctober is a hashtag to get the fans actively engaged in the post season. The Cardinals tagline for fan involvement is “See you in October.” This tagline is used to promote the home games to fans and to generate a crowd presence at Busch Stadium. Social media has really changed the way fans watch games. While watching games at home, fans like to monitor Twitter and Facebook to see what others are posting about the game. When fans are at the games then they are monitoring social media on their smartphones. Statistics show that more than 80% of sports fans monitor social media sites while they are watching the game on television and over 60% do when they are actually at the game. Many professional athletes have joined the social media networks and they get to interact with their fan base. Many athletes have turned to social media to spread the word about charities they represent. For example, St. Louis Cardinals third basemen David Freese tweets about different youth programs he represents and how someone else can become involved. audience attention they’re all looking for a new and different angle. additional empty cartridges to make your efforts viable.